When you think about doing a Studio City renovation of your house, one of the biggest projects can be repiping. Pipes run throughout your entire house, and under your foundation to the city’s pipeline. Repiping means installing a new copper main water line and new supply lines for all sinks water closets and appliances in the house. There are many reasons you may want to repipe, such as update plumbing, fix leaky pipes or those about to burst, fix rusty pipes, and so on. Hugs Construction specializes in Studio City repiping work, and can share a few tips for your renovation project. 1. Know When to Repipe – Look for signs that you need to repipe, and get a specialist’s opinion if you encounter any of these issues. If you notice lower water pressure, that can be a result from sediments in pipes, or rusty pipes. Dirty, brown or smelly water is a huge sign that you need to repipe immediately. And another telltale sign is if two or more people use water in the same time, and one gets an unexpected rush of hot water. For example, if you are washing your hands and your child flushes the toilet, if you get burned with hot water, you likely have piping issues. It’s important not to ignore these signs and try and fix the pipes or repipe altogether. 2. Expect the Unexpected – You may know that you have a leaky pipe, and make arrangements with your local Studio City plumber to fix it, but you never know what else he may find once he starts looking. Getting an estimate on a repiping job is almost never final. You may think you need to fix one problem, but once the contractor starts looking, he may notice other issues, such as corroded or rusty pipes or other hidden issues. Therefore, you need to be prepared to pay a little, or much more than you expected. 3. 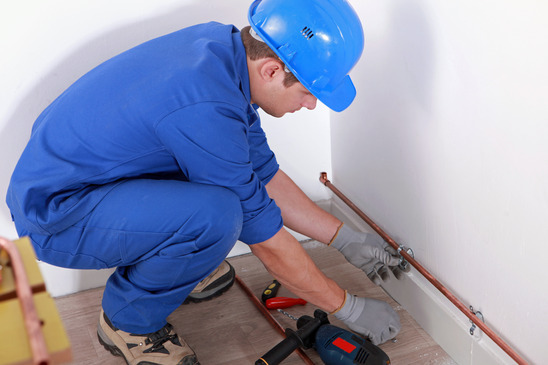 Prevent Bigger Issues – Once your Studio City repiping specialist looks at your pipes, he may discover potential problems that can occur, but that are not an issue yet. For example, if you have polybutylene plastic pipes, they will most likely burst at some point or other. Although those pipes were put in homes that were built in the 80s and 90s, they often burst. If you know you have these pipes, invest the money to repipe now. Waiting for a burst to happen will cost much more money. If a pipe bursts, it will most likely cause a leak or a flood, damaging floors, walls, furniture, and other items. Also, when you choose to repipe in advance, you can take your time finding a reputable Studio City repiping specialist, and compare prices. If a pipe bursts, you will need to call an emergency team and pay whatever they ask of you. 4. Prevent Clogged Pipes – Rather than spending money on repiping, try and maintain the quality and life of your existing pipes with these tips. Keep hair out of the shower drain. Once a lot of hair accumulates there, it sticks to the pipes, preventing water from going on. You will probably end up standing in old bathwater in your bath or shower, and having to call a plumber. Purchase a drain cover with small holes that will trap the hair, and try and grab the hair before it goes down the drain. Although this is not the most fun task, it will save you money. Also, try to keep your kitchen sink drain food-free. Throw remainders of food into the trash before you wash your dishes, as any leftovers can clog your pipes. Hugs Construction has over 20 years of experience and is a full service construction company in the San Fernando Valley and surrounding Los Angeles area. We work on projects of all sizes, such as repiping, kitchen and bath remodeling, wiring and electric work, soundproofing, installing windows and doors, specialty projects and new constructions. To get a quote for your Studio City repiping project, contact us.